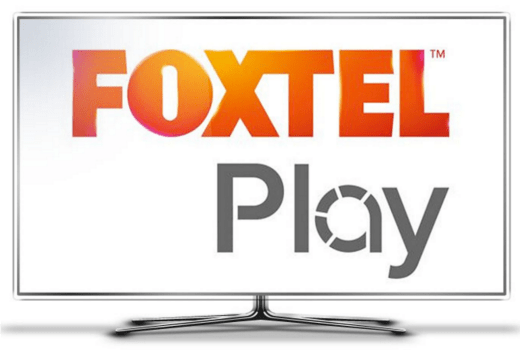 Foxtel has announced its new pricing for a revamped Foxtel Play streaming service, which will roll out from December. The revamped service, available without a fixed term contract, offers Foxtel content at prices starting from $10 rising in price for add-on packages. Foxtel CEO Peter Tonagh said, “Foxtel Play will be a simpler, cheaper and more flexible IP delivered product, which will create much better value for Australian consumers. It is the logical step for us to take in the evolution of Foxtel’s service. The new offering will mirror the successful launch of HBO Now in the US and Now TV by Sky in the UK. “Customers who use an IP connection, with their own device and bandwidth will have access to this great new offering. Consumers will be able to sign up by downloading the app to their eligible connected TV, laptop, PC or games console. The new service will have five different entry level tiers to match viewers’ interests including Drama and Entertainment packs priced at $15 per month each or $25 for both, while at the $10 per month level, there will be one option for Lifestyle, one for Documentary and one for Kids. In addition, customers will be able to take the Sports tier for an extra $25 per month and the Movies tier for an additional $20 per month, effectively reducing the cost of Sport to as little as $35 per month. Subscribers will have access to all linear channels in the tier along with all of the on-demand, catch up and library content available to that tier plus mobile and tablet access via Foxtel Go. “I am sure that existing and potential customers will be delighted at the flexibility that the new Foxtel Play will offer. For example, Foxtel is the Home of HBO and Showcase will be included in both the Drama and Entertainment tiers, which means that shows like Game of Thrones will now be available for $15 per month,” said Mr Tonagh. The announcement comes on the same day as Foxtel revealed that it had acquired Seven West Media’s shares in the Presto TV joint venture. Presto customers will be invited to transition to the new Foxtel Play packages from December 2016 and the Presto service will cease on 31 January 2017. All Presto entitlements will be honoured; should any promotional entitlements remain after 31 January, Presto customers will be offered appropriate alternative content. Now being reported elsewhere that Foxtel are upgrading their streaming service to HD, but not until ‘early 2017’. Good news if early is early and we don’t get iQ3 type delays. I would get this if it was available on an Android app or Kodi. I actually might take $35 for a pack and sport. I actually might go from full Foxtel to this. Maybe Foxtel could have another option where you just pay for what you watch, lets say for example $5 per hour. So if you watch 2 hours of TV a night you have just spent $70 a week or $280 a month. I think the packages will be better value. Wow. Everyone seems to down on this announcement. I kind of thought $15 for Showcase, Box Sets, BBC First, Sky News and the music channels isn’t the worst deal in the world. It’s certainly the first time ever that I’ve been tempted by Foxtel. I get that Stan and Netflix might be $10, but I don’t think I’m going to whinge about an extra $5 for the HBO content. It’s totally the closest Foxtel have come to living in the real world pricing wise I’d say. Would love to see an Android TV version of Foxtel Play that would tie in with the Live Channels app. In fact Foxtel should look at offering their own Android TV box. On a separate note, what does this mean for T-Box customers with Foxtel on T-Box? Starting price is $10 per month according to the embedded price guide and also confirmed on other sites. Unbelievable that they aren’t confirming HD now. Reported elsewhere that it won’t be available at launch. Eh. So it’s just Foxtel Go but streaming instead of Live… This isnt’ really going to compete with Netflix and Stan. 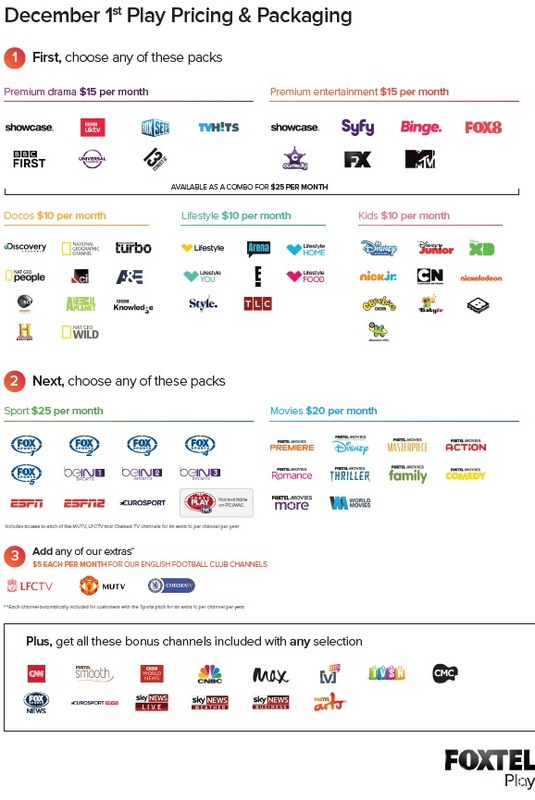 Should just be a value add to existing subscribers..
See I like about a channel from each of those packages, but never everything from an entire package (maybe save for kids). If it was $15 for all channels, that would be great, but as it stands it’s still a lousy deal in this day and age, even worse if it’s only SD. What a terrible and underwhelming announcement – in a nutshell it’s the same old crap with some fiddling around the edges… do Foxtel realize they are in the customer service business??? ah well, presto is done 31 January 2017, Stan and Netflix will do for me programming wise, as well as foxtel, won’t be using the foxtel play service after presto goes. Why would one pay $40/month for streaming sport when they could pay $50/month for the same thing with a much better picture via cable/satellite? Well I’ll pass on this, if I could get the Sports Package on it’s own for $25 per month I’d be yelling take my money now, ah well. Still seems a bit expensive. I don’t know if I want to pay $25 per month on top of Netflix and hayu that I already pay for. Of interesting note, subscribing to all channels (minus the football club channels) with this new pricing adds up to $100 for Foxtel Play. Foxtel Platinum HD is $135 for comparison. The new plans offer some channels that weren’t previously available on Foxtel Play: CNN, BBC News, CNBC, Animal Planet, Nat Geo Wild, Discovery Science & TLC. Also, if you get every one of the first tier packages, you will be paying $5 more. No idea how many people that affects though. So, I can get access to all of Netflix’s library for $9/m but $10/m will only give me Foxtel’s rubbish, or $15/m for the half of the decent stuff. Movies will be another $20/m on top of that! I think that it is no surprise that Presto is gone – it was always the substandard version of streaming services in Australia..
So… One question… Are these channels on Play going to be in HD ? Surely with Netflix and Stan offering HD they must being doing HD streaming now. If you are going to relaunch it – how can it not be HD.. That $25 channel mix is a bit weird – you kind of are always left with half of what you want… Good luck to them but I don’t think this is going to help much.. It’s certainly not as good as the packages you get on NowTV if that is what they are trying to replicate. Don’t think this will be available on the Fetch TV unit but what about Telstra TV ? Sorry David. , below what ? You haven’t answered anything about Telstra TV in the comments. Any word if Foxtel Play will finally be offered in HD with it’s revamp? In my experience we will have to wait for extra details.